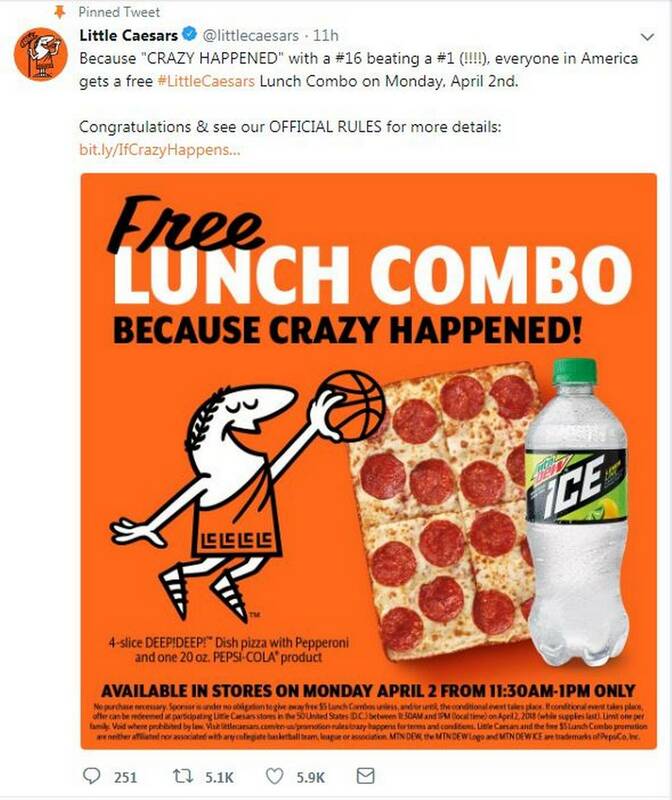 Here’s where the free lunch comes in: seems that Little Caesar’s Pizza had promised that if any 16th seed knocked out a #1 seed, they’d give everyone a free lunch. The pizza chain is going to be providing a free, $5-dollar lunch box on Monday, April 2nd, between 11:30 am and 1 pm local time. You can click here for the details. Enjoy!